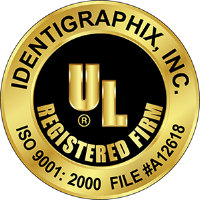 Identigraphix has been certified to the 9000 series standard since 2003. 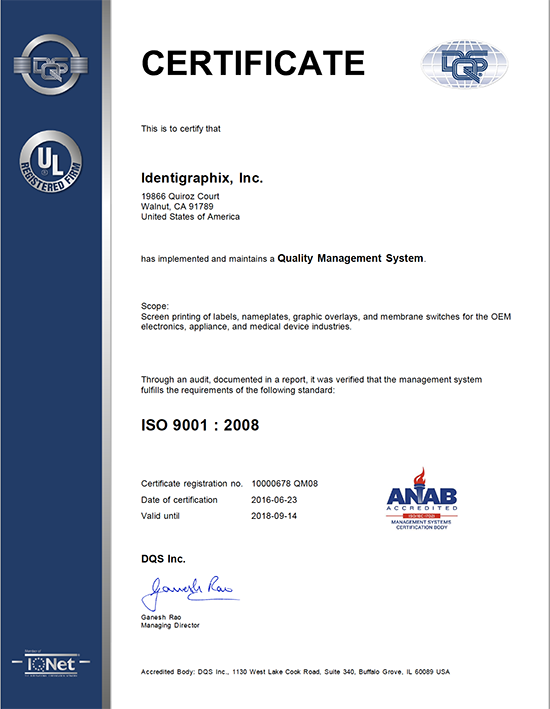 Identigraphix is compliant to the ISO 900l:2008 standard. With emphasis on customer satisfaction, ISO certification provides a foundation of well-defined processes and procedures that help us to provide consistently high-quality custom products. We perform regularly scheduled internal and external audits to verify the effectiveness of our defined procedures and to identify potential areas for improvement. Our corrective action process includes root cause analysis and verification of effective implementation. Click on the image to download a copy of our most current ISO 9001:2008 certificate.